CCS Cat5e High Density Elite Patch Panels provide exceptional performance for high speed LANs including Gigabit Ethernet applications. The High Density format is ideal where cabinet space is at a premium. 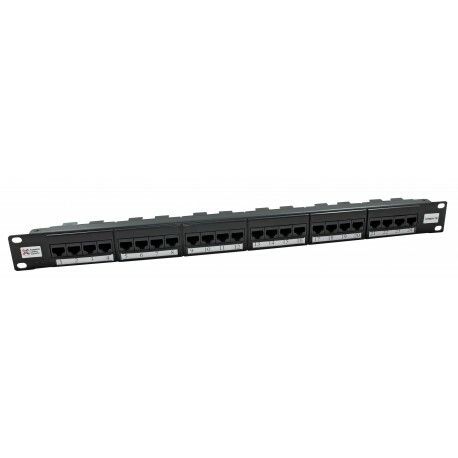 This Patch Panel achieves optimum transmission performances by incorporating the highest quality components and innovative on-board compensation techniques. The front of the panel features easy to use slide in labels and the rear utilities colour coded cable saddles and hook and loop cable retainers.